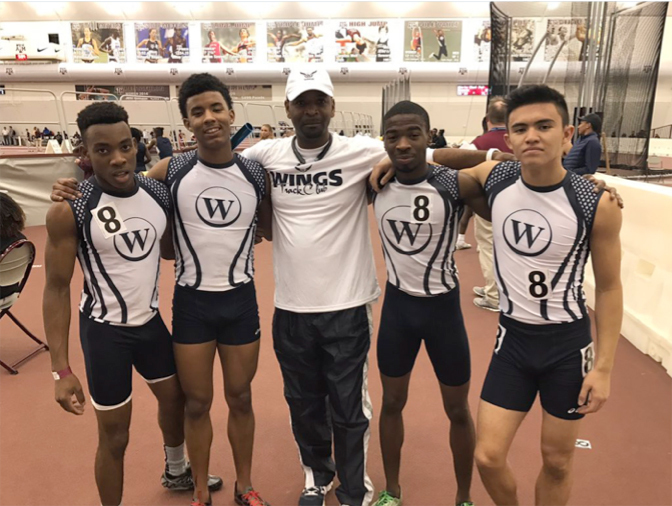 The Wings Track Club 4×800 quartet (Joe Austin, Ben Abueg, Kenneth Freeman,Travis Jacobs) displayed great “Wings” span with a *new meet record* in the 4×800. One of many dominate performances posted Jan. 7th 2017 TX A&M High School Invitational. To watch the action Click Here.